No occasion, be it birthday parties, wedding celebrations, anniversaries, Christmas, or even a simple get together, cannot be complete without delicious food and yummy desserts. Of course, there are endless types of dessert you can make and serve in your parties, but perhaps you have already tried all you know and are in the search of something different, something that is sure going to be a big hit. If you have spent all your time searching the internet and your recipe books for something like this and have not found anything of your liking yet, wait, there is some good news for you. 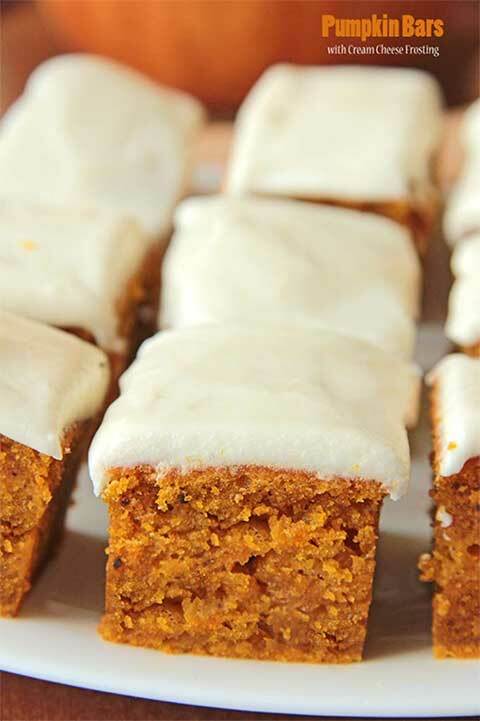 We are talking about pumpkin bars with cream cheese frosting. You shall now get to discover the recipe of a yummilicious (its extremely yummy) dessert that will leave everyone wanting for more.